Go birdwatching with a Birdingpal from North Carolina. I moved to Ablemarle in December of 2018, but have been a Birding Pal since living in Durango, Mexico. I am a Biology Instructor at the local community college and an avid eBirder. I will be happy to help you explore the excellent, yet underbirded sites in and near Stanly County, NC. I have been an active birder for thirty years. I would consider myself an expert on local birding topics. I feed the birds at my house with every feed our local birds might need. Western North Carolina is an excellent location in the warm seasons to find eastern Warblers, Vireos, Flycatchers and other neotropical migrants. A easily accessible choice of high and mid elevations makes for a wide variety of songbirds. Nature: birdwatching, twitching, photography, butterflies, plants. Travel: stroll, walking, long walk, canoe, kayak. Know some good sites in the Blue Ridge mountains and surrounding area. I live in the Pisgah National Forest and love to bird all over the area: Grandfather Mountain, Table Rock NC and surrounding areas. I put anytime as available, but only because I have some times during the week and weekend free. I work for The Nature Conservancy and I'm knowledgeable about public and privately protected conservation areas in North Carolina. I live in the Blue Ridge Mountains of northwestern NC and I'm available to help birders in the mountain region of northwestern NC and adjoining parts of northeastern TN, and southwestern VA. I am a single parent and retired Army. I live in a neighborhood, that used to be home to some 96 species of birds, so far, I've seen and heard since I moved here. I'm pretty good at bird calls having called in about seven species to include the Barred Owl, Collared Dove and a Hooded Warbler. I'm happy to show folks birds in the area or slightly further afield. Red-cockaded Woodpeckers and Bachman's Sparrows within an hour's drive, excellent wintering birds in eastern Carolina further. If you want a young, energetic, expert guide who can help you locate/identify/photograph birds/butterflies and any other wildlife in North Carolina, I am the man for the job. Send me a hit list and I'll tell you where we can go. I am not an expert but serve on our local Audubon board with a lot of them! If there is a specific bird or birds that you would like to see I am sure I can find out where to go. I am in the Raleigh/Durham area (middle of the state). We have lots of very cool birds. I am located near Jordan Lake. An outstanding birding location year-round, Jordan Lake seems to attract more stellar rarities, such as Long-billed Murrelet, White-tailed Tropicbird, and Smith's Longspur, than any other local spot. Jordan Lake has 13,900 acres of water to scan, nine state recreation areas, and more Bald Eagles than you can shake a stick at. There are about as many birdwatchers as birds around here, so if I happen to be busy (which has been the case lately) there is likely to be somebody else available to whom I could refer you. Southeastern US specialties: Brown-headed Nuthatch and Red-bellied Woodpecker are relatively easy to find year round. Most other species of special interest are seasonal. I am a park ranger for Catawba County in the foothills of NC. I am also a bird bander. I have been birding for over 50 years and enjoy sharing my hobby with beginners and advanced birders. Western NC has a few specialties such as sawhet owl and red-crossbill, plus many warblers during migration. Located in the northwest piedmont of North Carolina, near Greensboro and Winston Salem. We are an hour away from the NC Zoo, Raleigh, Durham, and Chapel Hill, and an hour and a half away from the Blue Ridge Mountains, and Charlotte. I'm an intermediate birder and very knowledgeable about where and when to find birds in North Carolina. I lead most of the birding trips for Wake Audubon Society's Meetup Group (local Wake County areas). I also enjoy birding at Mason Farm (Chapel Hill) and Howell Woods ((Johnston Co). I work Mon-Thurs so my best times are Fri-Sat-Sun, but I might be able to do short trips in the midweek too. Near the Croatan National Forest. In Summer Painted Buntings are seen on the coast. A couple of hours from Lake Mattamuskeet, a major wintering ground for Tundra Swans from Nov. 15 thru Feb. 15. Winston-Salem is centrally located in NC, near Greensboro and High Point, and about 1.5 hours from Charlotte or Raleigh, NC. Greensboro is in the approximate geographic center of North Carolina in Guilford County. While there are few rarities here, it is a good area in which to see nearly all of the typical southeastern bird species. Birds have been well documented in the county since the late 1930s by an active local bird club. I am a retired educator, an amateur naturalist, and a wildlife photographer interested in birds, butterflies, dragonflies, wildflowers, and other wildlife of the area. My wife and I enjoy showing visitors our little corner of the world. I really like photography, and am blank to birding. The listed "local" birding clubs are at a minimum of two hours or more away, so it's not feasible for me to meet with them, but I know I need the guidance of an experienced birder. I'm a Marine so scheduling can work out to where I have free weekdays, but I can't really highlight "Anytime" due to the unpredictability of my weekday schedule. As far as being located next to major birding areas goes, I live in the North Carolina Outer Banks so there's tons of places to bird where I live. I live in the Piedmont area pf NC but grew up in the Coastal Plain/Sandhills area of NC. I am a member of Sylvan Heights Waterfowl Park which is within 90 miles from Raleigh. I go there a lot. They have close to 200 waterfowls and birds from all over the world. A wonderful place dedicated to the preservation of endangered species. 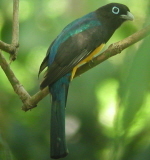 I have traveled to the Gallapagos Islands and Costa Rica, studying and photographing birds. I have my tickets now for a trip to South Africa, namely Zambia, Namibia and Botswana. I am current working on the Cornell University course to learn more about birds and their behaviors. I have been carving realistic birds for 20 years and teach this art form to 30 students attending classes I hold regularly in my studio in Raleigh. My wesite: www.wildfowlart.com and I administer my website, www.birdcarversonline.com. I spend most of my free days hiking, car birding, and photographing birds and other wildlife in western NC. Our business is called Wrightsville Water Tours & Taxi. 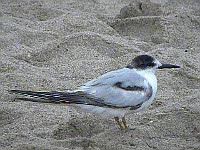 We are located in Wrightsville Beach, NC and we do kayak birding tours and boating birding tours. Birding trips are between $15-$35 per person. Our phone contact is 910-200-4002. The Transylvania County Bird Club (TCBC) Brevard, NC, is a bird watching group formed in Western North Carolina in Transylvania County. Although Transylvania County is known for mountain biking and micro-breweries, it is also a great destination for birdwatching. Due to the elevation change (which ranges from 2000-5600 feet), the County hosts over a dozen different nesting species of warblers and hosts the largest known blue heron rookery in WNC. The altitude gain on the Blue Ridge Parkway works well for more northern birds such as Red Crossbill, nesting Peregrine Falcon, Veery, etc. For the past few decades, the TCBC has been conducting CBC, Winter & Spring Bird counts and this Fall, the Club will participate in the Audubon Climate Watch survey, which focuses on specific species most susceptible to climate change. Additionally, the TCBC conducts regular field trips to some of the top locations to see Spring and Fall migrants. Anyone is welcome to join these free bird trips. The field trip calendar is posted on our website. 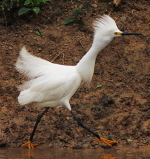 Bird trips include strolling, light hiking and car birding modes of travel. Several members are experts in nature photography, butterflies, dragonflies and birding of course.